This mini-arc may have curved all the way off the rails, but we don’t care. Ace is the embodiment of this very idea, and “The Greatest Show in the Galaxy” gives us plenty to talk about. Including, of course, a significant tangent about the history of clowns in popular media. Because why not? What do you think about Ace’s companion-collecting habits? And do you think she and Mags would have made a good TARDIS team? Let us know in the comments! Tansy is So Excited about Doctor Who Magazine‘s new Time Team! The final story in our competent-women mini-arc is “Battlefield” another story with a number of women to discuss. Join Deb, Erika, Katrina, and Liz as we dig into this classic story. From witch-queens to explosive companions to brigadiers to helicopter pilots, there’s a lot to talk about! Kat is thrilled to have Sophie Aldred as a cast member on ep 45 of Doctor Who’s Line, Is it? … Anyway!! Erika can’t wait for all the fun things on her Gallifrey One schedule! Deb also can’t wait for the ridiculous amount of fun things on her Gallifrey One schedule! For this week’s Extra! we had the opportunity to talk to the delightful Sophie Aldred, and we couldn’t make you wait for that–especially because her Kickstarter for Strangeness in Space still has a few days to go. Do check it out if you’re a fan of sci-fi, comedy, and/or audio goodness! 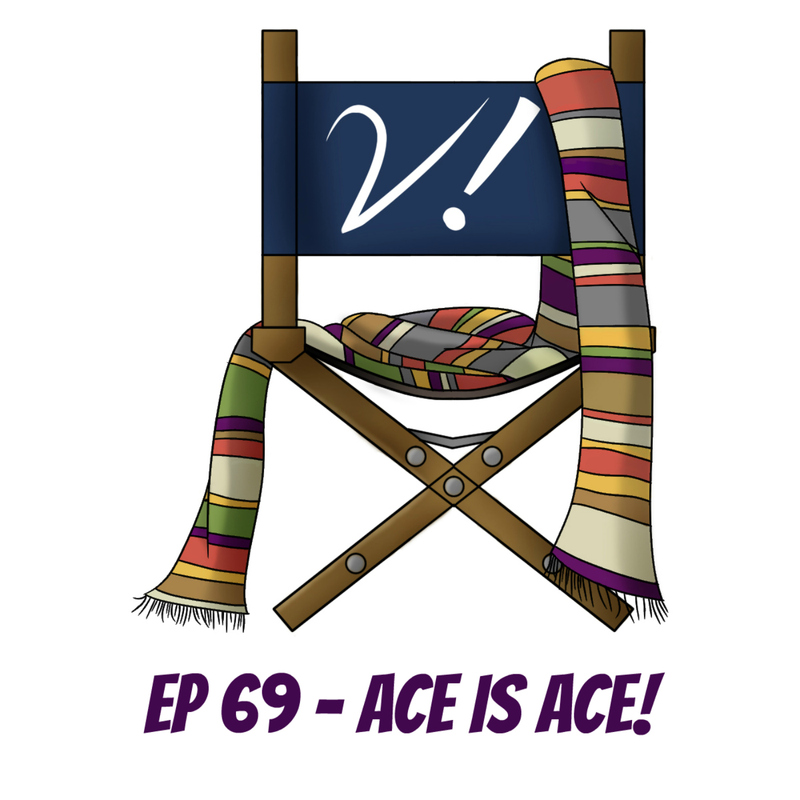 She chats to Deb about that fantastic project, her time as Ace (both on screen and in Big Finish), and what it’s like attending conventions and interacting with fans. It’s a wonderful conversation, and we hope you enjoy it as much as we have!